Grocery shelves are stocked with an endless supply of different flours, made from the traditional wheat to outlandish garbanzo or rice. Coconut flour is an unusual one; high in fibre, protein, and healthy fats with low sugar, the flour has been quickly adopted by the paleo and gluten-free dieters. For the most part, people stick to good ol’ all-purpose or whole-wheat flour as those variations are quite prevalent in home cooking. Less familiar are bread, cake and pastry flours making up the backbone of the dessert world. For this article, we will be focusing on wheat flours, how and when to best use them, and any downsides. Flour is a powder made by pulverising uncooked grains or wheat berries. The way in which wheat is milled and processed yields different flour types. Wheat flour uses either hard or soft wheat. Hard wheat has high protein levels and soft wheat has low protein levels. Freshly milled flour is slightly yellow. When left to age naturally, it will whiten; however, manufacturers speed up the process with chemicals (benzoyl peroxide or acetone peroxide). Chemically-bleached flour is labelled as bleached. The sped-up bleaching process robs the flour of protein and nutrients. It is enriched to re-add nutrients that were removed during processing. Bleached flour absorbs more liquid than unbleached flour and rises better than whole wheat flour. Naturally-bleached flour is called unbleached. Since it was not sped through the whitening process, it has more protein than bleached flour and contains all nutrients once processed. It also appears slightly coloured by comparison. Aptly named, this plain flour is a staple in most homes. With a blend of hard and soft red wheat, it has 10-12% protein. Since all-purpose flour is made up of just the seed head’s endosperm, it is more shelf stable than whole-wheat flour. On the downside, this makes the flour less nutritious as it is lacking in fibre and protein but with a lower fat and sodium content. Bleached and unbleached versions are available. Best In: Cookies, quick/yeast breads, pie crusts, pancakes, waffles, muffins, simple cakes, and pastries. Takeaway: Most baking can be done with this flour. If you’ve ever wanted something more out of flour, you’ve probably strayed to the whole wheat section of the aisle. Whole wheat flour, also called graham flour or whole meal flour, contains the whole kernel of red wheat – bran, germ, and endosperm – making it a soft brown colour. Made from either soft or hard wheat, bran and germ make this flour rich in fibre and protein and contribute to its nutty, toasty flavour. This flavour profile is influenced by the presence of strongly-flavoured phenolic compounds in red wheat bran. Germ contains fat, unlike with all-purpose flour, causing whole wheat flour to have a relatively short shelf life of four months. Kept in the refrigerator or freezer, the flour will remain fresh for six to eight months. The gluten-forming ability of this flour is lessened by the presence of wheat and germ, sometimes necessitating white flour as a supplement. Whole wheat flour is more absorbent than white flour, yielding sticky dough and requiring a lot of liquid. To counter this, add in white flour at the start to make kneading a bit easier. Some brands of whole wheat flour can be quite coarse with large bran granules that can slice through protein chains, shred gluten, and make crumbly bread dough if overworked. Best In: Hearty/rustic breads, raised breads, pancakes, waffles, muffins, cookies, cakes (gingerbread, pumpkin, banana), pie crust, pizza dough. Watch For: A strong wheat flavour and heavier/denser baked goods (counteract both issues by combining with white flour). Tip: Let batters sit for 10 minutes after combining wet and dry ingredients. The flour will absorb more liquid making a lighter product. White whole wheat flour is relatively new to the cooking world, developed about 20 years ago as an answer to unrest with whole wheat flour. This flour is made using the whole kernel of wheat, like whole wheat flour, but is made from a paler variety of wheat. This specific kind of wheat has phenolic acid bred out of the bran layer, yielding fibre- and nutrient-rich flour without the distinct taste present in whole wheat flour. Low tannin content makes the flour slightly sweeter naturally. White whole wheat flour is nutritionally the same as whole wheat flour without the strong wheat taste. It also appears lighter in colour. Some find this variation to be bland, but, if used in the right recipes, the taste shouldn’t be noticeable. White whole wheat flour can be substituted for the entire amount of all-purpose flour called for. Best In: Cookies, muffins, pancakes, waffles, quick breads, can be used as a substitute for white flour. 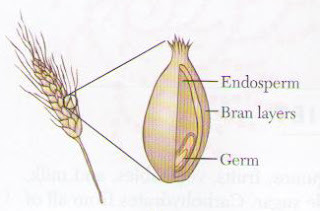 Watch For: Gluten development hindered by bran and germ presence making denser products. Start off slow by substituting half of white flour called for with white whole wheat. In breads, will take longer to rise. The flours that are next on our list have uses that are easy to sort out given their names. Cake flour, for one, is fine-textured milled flour made from soft wheat. With a high starch content and low protein level (about 6-8%), cakes will always be tender and fluffy if made with this flour. Cake flour is always bleached which damages the starches, allowing increased absorption of liquids. Additionally, bleaching makes the flour more acidic, guaranteeing that cakes will rise and fat will distribute evenly throughout the batter. This flour appears very white in colour. Best In: tender cakes (sponge or angel), cakes, pastries, cupcakes, biscuits, muffins, scones, baked good with a high amount of sugar. Watch For: This ultra-fine flour does not make good bread. Pastry flour, also called cookie flour, is finely-textured and milled from soft wheat with low levels of protein (about 8-10%). A middling level of gluten – more than cake flour and less than all-purpose – makes it great for light-textured, tender pastry. Pastry flour has a stronger flavour than cake flour and is off-white in colour. Achieve the perfect flakiness with this flour. Make this flour at home by mixing 1 part cake flour with 3 parts all-purpose flour. If desired, whole wheat flour can be substituted for all-purpose. Best In: Biscuits, pie dough, brownies, pound cake, cookies, muffins, quick breads. Watch For: Does not work in yeast breads. Made entirely from hard wheat, white bread flour has a high level of protein (about 12-14%) and a strong flavour to boot. As the strongest flour, it brings structural support to dough. The act of mixing the dough, both by hand-kneading or with a mixer, develops gluten and encourages its formation, creating an elastic dough. This quality makes for chewy bread. Gluten in the dough traps and holds air bubbles, ensuring a high rise once baked. For yeasted breads specifically, a strong gluten network is required to trap the CO2 gases give off during fermentation. The heavy dense texture of bread flour lends well to chewy baked goods. Bread flour is available in whole wheat, white whole wheat, organic, bleached and unbleached varieties. Best In: breads, rolls, pizza, pretzels, bagels, any yeast product. Watch For: This flour is not suitable for use outside of bread. 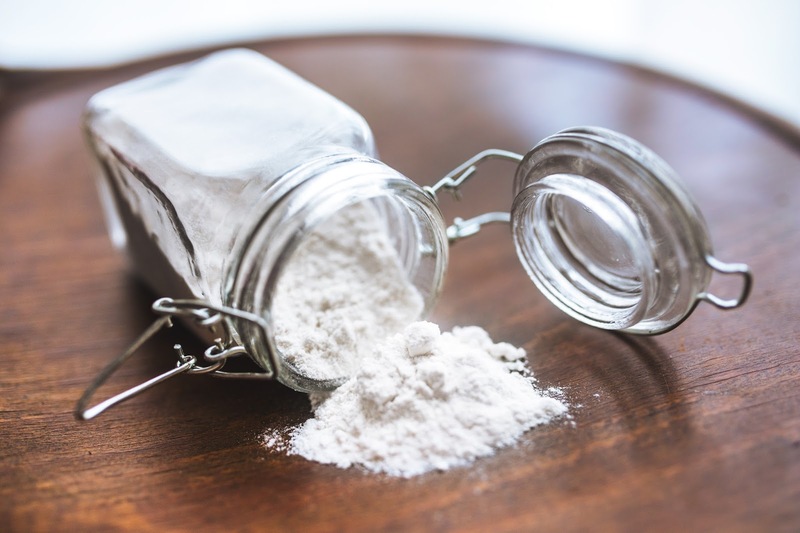 A low-protein flour with salt, an acid-releasing substance, and a leavening agent (baking salt or powder) added to it, self-rising flour is essentially convenient all-purpose flour. Prevalently used in Southern-American cooking, this flour eliminates the addition of baking salt/powder and salt to your recipe. However, the problem arises when you need a specific amount of salt or baking powder since there’s no way to control how much is added with self-rising flour. Additionally, baking salt/powder can lose its strength after just a couple months upon opening. Also called raising flour or phosphate flour, it was created specifically with Southern biscuits and gravy in mind. Available bleached and unbleached. Best In: Biscuits, quick breads, muffins, pancakes. Watch For: Do not use for making yeast breads. Tip: Steer clear of this flour unless needed. Made of the hardest of wheat, durum, Semolina flour has the highest protein level, giving it the potential to produce the most gluten. Unlike other high-gluten flours made of hard wheat, the gluten that forms in semolina flour is not elastic or stretchy. This flour must be combined with all-purpose or bread flour in order to add extensibility. Also called durum wheat, this flour is made by grinding the endosperm yielding golden flour. This flour absorbs less water than softer flours. There are different grades of semolina flour depending on how it’s been ground. Best In: Pasta, gnocchi, Italian breads, and puddings. Watch For: Semolina is a term used to refer to similarly ground grains, like rice or corn.